habit formation | Finding delight. Four ways to create healthy habits for 2019. Getting Hygge with it gifts. We love the 90s gift guide. Some new Trader Joe’s items to add to your holiday pantry. A t-shirt celebration of female voices in film. Which would you choose? This is my pick. A brief encounter that changed the lives of two young refugees. 30 most disappointing under 30. LOL! Toning down Asian stereotypes in Balanchine’s Nutcracker. P.S. Here’s the link to my 2018 GIFT GUIDES one more time, just in case you wanna keep browsing. Now, years of dodging dish duty and co-habitation meant this would not be easy. I needed a plan. 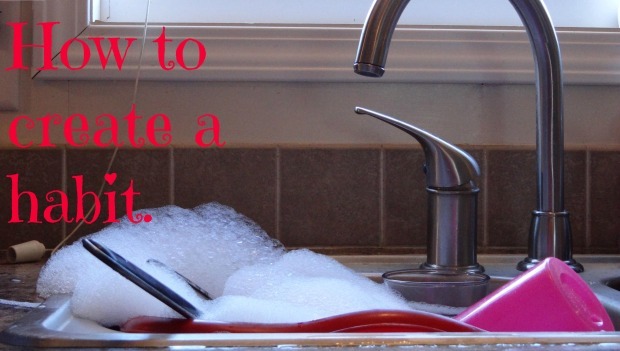 After some brainstorming I came up with the idea that I would wash at least one dish every single day as I waited for my morning coffee to brew. This seemed like the perfect time for mindless manual labor and I wouldn’t become distracted by other tasks because I would still be lacking my post-coffee faculties. Most days, to my surprise, I washed all my dishes from the day before in this little pocket of productivity. The dish-wand was already soaped up, the coffee wasn’t done yet, the radio was playing some jams. I started craving the completion of the task. In no time at all, the habit had cemented itself in my daily routine. I know this may seem like a rudimentary example in the grand scheme of life improvement but if you’re looking for a super simple life hack, it couldn’t hurt to try.